So we're finally coming into the last sprints of the current release, testing and fixing bugs as we go. We're expecting the final drop of EJBCA 6.8.0 in the end of June, but in the meanwhile I'd like to talk about and demonstrate some of the new features we've implemented. So I know firsthand that one of the more complex and confusing aspects of administrating EJBCA are the roles and rules system. While we're not quite so brave as to redesign the rules system entirely, we've taken several steps to simplify rules administration, and make the capabilities of each role clearer. We've removed the Unused-state and the Recursive-cbeckbox and replaced them both with the Inherit-state. 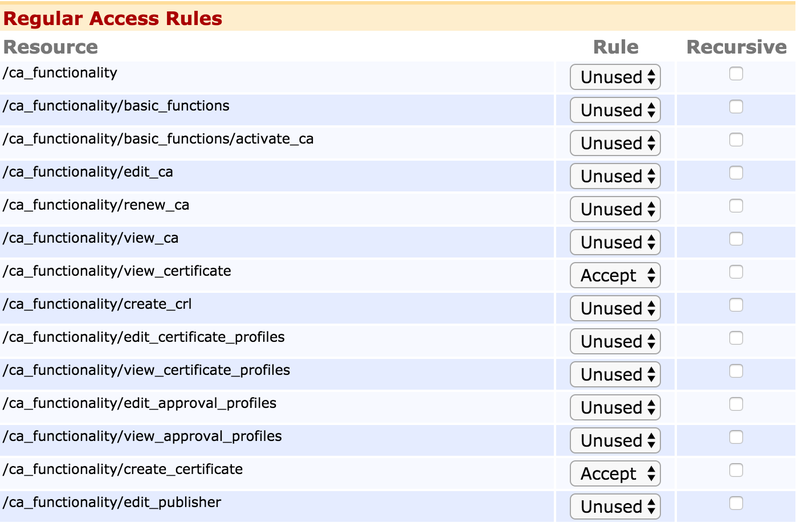 It simply means to inherit whatever rights were set further up the tree (in the above example, setting Allow to /ca_functionality will give access to /ca_functionality/activate_ca and all other subsequent rules, unless they've been specifically set to Deny. In order to simplify overview, we made a conscious choice to go from drop-downs to radio buttons, as well as differentiating between leaf rules and branches by color. Rules are automatically normalized, which means that when saved the rule-set will automatically be minimized to its smallest possible size. 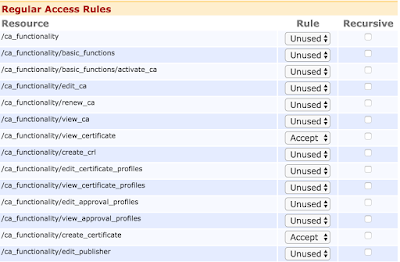 Rules which are invalid or redundant are automatically culled. 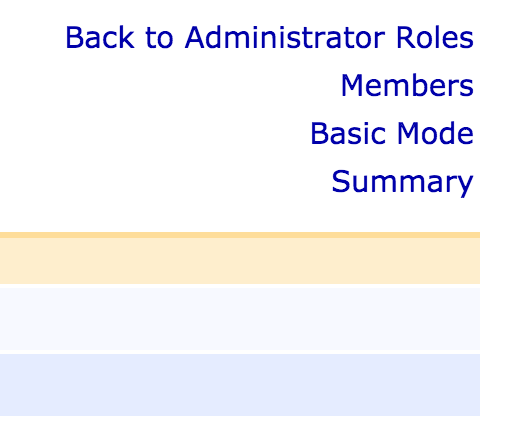 Clicking on it will bring up a summary of the active rule set for the role (after normalization, see above). We've recognized that there may be many disjunct groups of users administrating EJBCA, all of which may not need to know of each other. In order to minimize confusion in naming Roles, we've added the concept of namespaces. Belonging to a role in blank namespace (to which the Super Administrator Role belongs) gives access to all namespaces, while all other roles will only see the namespaces to which they themselves belong. 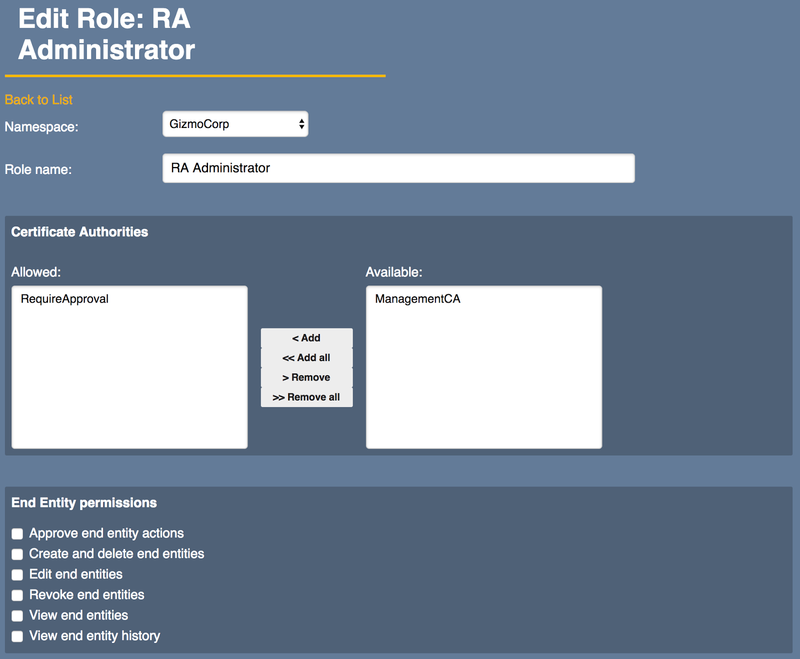 In other words, an administrator belonging to WidgetCorp's namespace will only see the WidgetCorp roles. 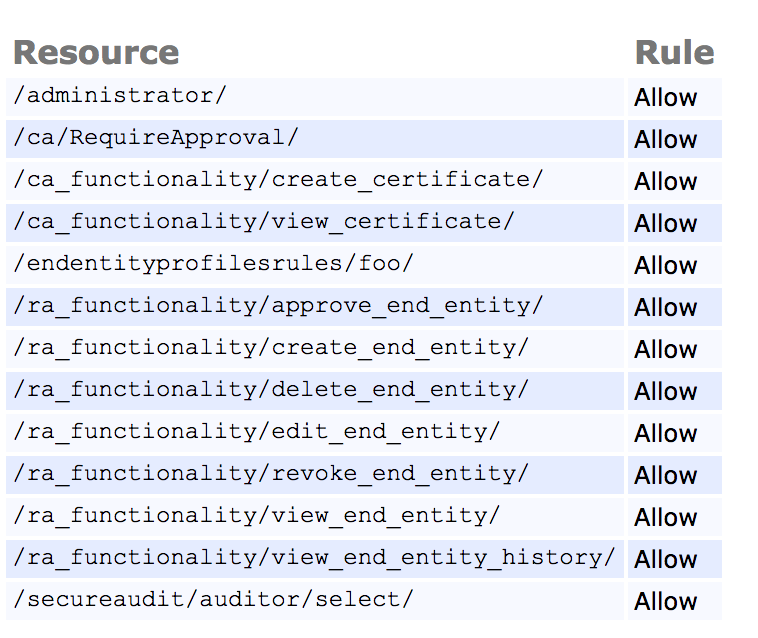 In addition to that, if the administrator only belongs to a single namespace, then the whole column will be hidden and they will never be aware of any other roles at all. We hope that you've all been following the exciting new development that came in version 6.6 last year, our very own proxyable RA! 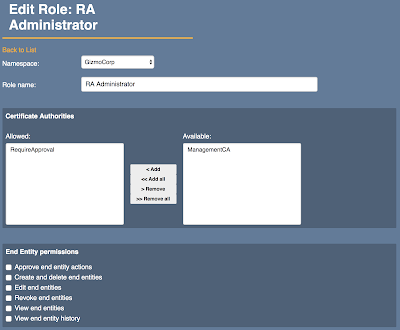 In EJBCA 6.8.0 we've also extended roles and rules administration to the RA, allowing end users on a proxied RA to manage their own users and rights without needing to access the CA. We're slowly migrating away from the legacy ExternalRA, as well as the CMP and SCEP Proxies. The reasoning behind and advantages to this will be explained in future blog posts, but for now I'd like to let you know about two new features we've introduced in 6.8.0. If an installation of EJBCA has been set up as an RA for a CA installation, it can now proxy both CMP messages and the Windows AutoEnroll feature we introduced in EJBCA 6.7. No special configuration is needed: simply send the messages to the RA as usual, and if it has contact with a CA it will automatically pass the messages on. 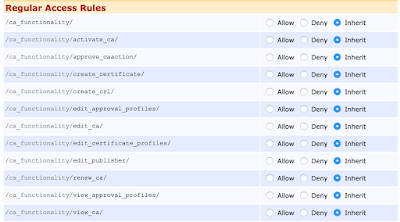 Lastly, we decided to build a bit upon the concept of Approval Profiles that was introduced in EJBCA 6.6. 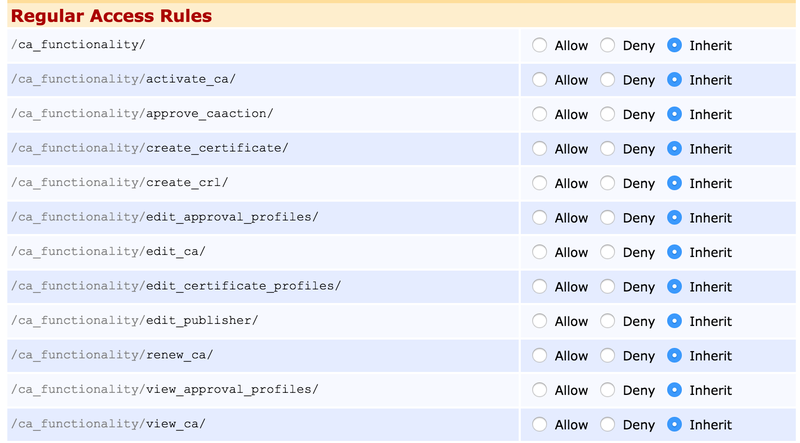 In previous versions, only a single approval profile could be to cover for all actions for a CA or Certificate Profile. 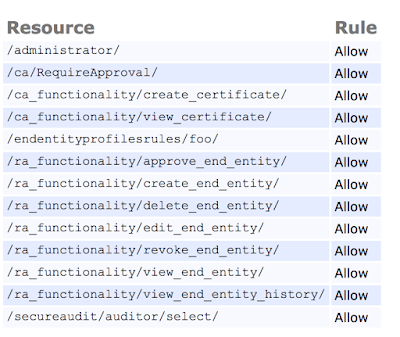 In EJBCA 6.8 we've somewhat more intuitively made it possible to set a profile per action, meaning that you don't need to have the same approval workflow for adding end entities as for revocations. Now, that's all for now. We're expecting EJBCA 6.8.0 to pass QA and be released by the end of next week, which will be announced through all the usual channels. On behalf of all of us at PrimeKey Solutions I'd like to wish you all an excellent summer, and check back here during the coming weeks for a series of blog posts about our new RA!